Panic disorder is an anxiety disorder characterized by recurring severe panic attacks. It may also include significant behavioral change lasting at least a month and of ongoing worry about the implications or concern about having other attacks. The latter are called anticipatory attacks (DSM-IVR). Panic disorder is not the same as agoraphobia (fear of public places), although many with panic disorder also suffer from agoraphobia. Panic attacks cannot be predicted; therefore, an individual may become stressed, anxious or worried wondering when the next panic attack will occur. There are other schools of thought that Panic disorder is differentiated as a medical condition, or chemical imbalance. The DSM-IV-TR describes Panic disorder and Anxiety differently. Panic attacks have a sudden or out-of-blue cause that lasts shorter with more intense symptoms, as opposed to Anxiety attacks having stressors that build to less severe reactions and can last for weeks or months. Panic attacks can occur in children, as well as adults. Panic in young people may be particularly distressing because the child has less insight about what is happening, and his/her parent is also likely to experience distress when attacks occur. There is no single cause for panic disorder, however, panic disorder has been found to run in families, and suggests that inheritance plays a strong role in determining who will get it. It has also been found to exist as a co-morbid condition with many hereditary disorders, such as bipolar disorder, and a genetic predisposition to alcoholism. Psychological factors, stressful life events, life transitions, environment, and thinking in a way that exaggerates relatively normal bodily reactions are also believed to play a role in the onset of panic disorder. Often the first attacks are triggered by physical illnesses, major stress, or certain medications. People who tend to take on excessive responsibilities may develop a tendency to suffer panic attacks. Post-traumatic stress disorder (PTSD) patients also show a much higher rate of panic disorder than the general population. There is some evidence to suggest hypoglycemia, hyperthyroidism, mitral valve prolapse, labyrinthitis, pheochromocytoma and respiratory conditions can cause or aggravate panic disorder. Prepulse inhibition has been found to be reduced in patients with Panic Disorder. Stimulants like caffeine, in excess, are a rather common cause for panic attacks. Many SSRIs also have stimulant side effects during the beginning of treatment that may exacerbate the condition and have actually caused first-time panic attacks in otherwise healthy individuals being treated for depression. Flöttmann describes the genesis of panic psycho dynamically. Panic is a stress symptom. Fear is characteristic of each developmental stage because of feeling of guilt or symbiotic binding. Floating fear or panic stands for the parental stressing call: "Come back to me. You will panic in your life, you will have fear of sexuality, fear of separation from me, of being autonomous, and you will have fear in any situation in your life! You will feel anxiously, if you do anything that is separating you from mother or father. Don't grow up!” The panic appears in any developmental moment of life. There are other researchers looking at some individuals with panic disorder as having a chemical imbalance within the limbic system and one of its regulatory chemicals GABA-A. The reduced production of GABA-A sends false information to the amygdala which regulates the body's "fight or flight response" mechanism and in return, produces the physiological symptoms that lead to the disorder. The cause is unknown. Genetics may play a role. Studies suggest that if one identical twin has panic disorder, the other twin will also develop the condition forty percent of the time. However, panic disorder often occurs when there is no family history. Panic disorder is twice as common in women as in men. Symptoms usually begin before age 25, but may occur in the mid 30's. Although panic disorder may occur in children, it is often not diagnosed until they are older. A panic attack begins suddenly, and most often peaks within 10 - 20 minutes. Some symptoms may continue for an hour or more. A panic attack may be mistaken for a heart attack. Panic attacks may include anxiety about being in a situation where an escape may be difficult (such as being in a crowd or traveling in a car or bus). A person with panic disorder often lives in fear of another attack, and may be afraid to be alone or far from medical help. Panic attacks may change behavior and function at home, school, or work. People with the disorder often worry about the effects of their panic attacks. Panic attacks cannot be predicted. At least in the early stages of the disorder, there is no trigger that starts the attack. Recalling a past attack may trigger panic attacks. Many people with panic disorder first seek treatment in the emergency room, because the panic attack feels like a heart attack. Panic disorder sufferers usually have a series of intense episodes of extreme anxiety during panic attacks. These attacks typically last about ten minutes, but can be as short-lived as 1–5 minutes and last as long as twenty minutes or until medical intervention. However, attacks can wax and wane for a period of hours (panic attacks rolling into one another), and the intensity and specific symptoms of panic may vary over the duration. The anxiety of Panic Disorder is particularly severe and noticeably episodic compared to that from Generalized Anxiety Disorder. There are instances when panic attacks are provoked by exposure to certain stimuli e.g. seeing a mouse. Other attacks may emanate out of nowhere or in specific settings e.g. the dentist's office. Some individuals deal with these events on a regular basis, sometimes daily or weekly. The outward symptoms of a panic attack often because negative social experiences (e.g. embarrassment, social stigma, social isolation, etc.). Limited symptom attacks are similar to panic attacks, but have fewer symptoms. Most people with PD experience both panic attacks and limited symptom attacks. Recently, researchers have begun to identify mediators and moderators of aspects of panic disorder. One such mediator is the partial pressure of carbon dioxide, which mediates the relationship between panic disorder patients receiving breathing training and anxiety sensitivity; thus, breathing training affects the partial pressure of carbon dioxide in a patient’s arterial blood, which in turn lowers anxiety sensitivity. Another mediator is hypochondriacal concerns, which mediate the relationship between anxiety sensitivity and panic symptomatology; thus, anxiety sensitivity affects hypochondriacal concerns that, in turn, affect panic symptomatology. Perceived threat control has been identified as a moderator within panic disorder, moderating the relationship between anxiety sensitivity and agoraphobia; thus, the level of perceived threat control dictates the degree to which anxiety sensitivity results in agoraphobia. Another recently identified moderator of panic disorder is genetic variations in the gene coding for galanin; these genetic variations moderate the relationship between females suffering from panic disorder and the level of severity of panic disorder symptomatology. The DSM-IV-TR diagnostic criteria for panic disorder require unexpected, recurrent panic attacks, followed in at least once instance by at least a month of a significant and related behavior change, a persistent concern of more attacks, or a worry about the attack's consequences. There are two types, one with and one without agoraphobia. Diagnosis is excluded by attacks due to a drug or medical condition, or by panic attacks that are better accounted for by other mental disorders. For children with panic disorder, CBT is the only scientifically proven psychotherapeutic treatment. The methods used are similar to those used with adults, but may be modified to be developmentally appropriate "Evidence-Based Treatment for Anxiety". Clinically, a combination of psychotherapy and medication can often produce good results, although research evidence of this approach has been less robust. Some improvement may be noticed in a short period — about 6 to 8 weeks. Psychotherapy can improve the effectiveness of medication, reduce the likelihood of relapse for someone who has discontinued medication, and offer help for people with panic disorder who do not respond at all to medication. The goal of cognitive behavior therapy is to help a patient reorganize thinking processes and anxious thoughts regarding an experience that provokes panic. An approach that proved successful for eighty-seven percent of patients in a controlled trial is interoceptive therapy, which simulates the symptoms of panic to allow patients to experience them in a controlled environment. The key to the induction is that the exercises should mimic the most frightening symptoms of a panic attack. Symptom inductions should be repeated three to five times per day until the patient has little to no anxiety in relation to the symptoms that were induced. Often it will take a period of weeks for the afflicted to feel no anxiety in relation to the induced symptoms. With repeated trials, a person learns through experience that these internal sensations do not need to be feared and becomes less sensitized or desensitized to the internal sensation. After repeated trials, when nothing catastrophic happens, the brain learns (hippocampus & amygdala) to not fear the sensations, and the sympathetic nervous system activation fades. For patients whose panic disorder involves agoraphobia, the traditional cognitive therapy approach has been in vivo exposure, in which the affected individual, accompanied by a therapist, is gradually exposed to the actual situation that provokes panic. Another form of psychotherapy that has shown effectiveness in controlled clinical trials is panic-focused psychodynamic psychotherapy, which focuses on the role of dependency, separation anxiety, and anger in causing panic disorder. The underlying theory is that due to biochemical vulnerability, traumatic early experiences, or both, people with panic disorder have a fearful dependence on others for their sense of security, which leads to separation anxiety and defensive anger. Therapy involves first exploring the stressors that lead to panic episodes, then probing the psychodynamics of the conflicts underlying panic disorder and the defense mechanisms that contribute to the attacks, with attention to transference and separation anxiety issues implicated in the therapist-patient relationship. Comparative clinical studies suggest that muscle relaxation techniques and breathing exercises are not efficacious in reducing panic attacks; in fact, breathing exercises may actually increase the risk of relapse. Appropriate treatment by an experienced professional can prevent panic attacks or at least substantially reduce their severity and frequency — bringing significant relief to percent of people with panic disorder. Relapses may occur, but they can often be effectively treated just like the initial episode. Panic disorders may be long lasting and difficult to treat. Some people with this disorder may not be cured with treatment. However, most people get better with a combination of medicine and behavioral therapy. Substance abuse can occur when people who have panic attacks try to cope with their fear by using alcohol or illegal drugs. People with panic disorder are more likely to be unemployed, less productive at work, and to have difficult personal relationships, including marital problems. Dependence on anti-anxiety medications is a possible complication of treatment. Dependence involves needing a medication to be able to function and to avoid withdrawal symptoms. It is not the same as addiction. A growing body of evidence exists that shows a link between substance abuse and panic disorder. Several studies have found that cigarette smoking increases the risk of panic attacks and panic disorder in young people. While the mechanism of how smoking increases panic attacks is not fully understood, a few hypotheses have been derived. Smoking cigarettes may lead to panic attacks by causing changes in respiratory function (e.g. feeling short of breath). These respiratory changes in turn can lead to the formation of panic attacks, as respiratory symptoms are a prominent feature of panic. Respiratory abnormalities have been found in children with high levels of anxiety, which suggests that a person with these difficulties may be susceptible to panic attacks, and thus more likely to subsequently develop panic disorder. Nicotine, a stimulant, could contribute to panic attacks. However, nicotine withdrawal may also cause significant anxiety which could contribute to panic attacks. About thirty percent of people with panic disorder use alcohol and seventeen percent use other psychoactive drugs. This is in comparison with sixty one percent (alcohol) and 7.9% (other psychoactive drugs) of the general population who use alcohol and psychoactive drugs, respectively. Utilization of recreational drugs or alcohol generally makes symptoms worse. Most stimulant drugs (caffeine, nicotine, cocaine) would be expected to worsen the condition, since they directly increase the symptoms of panic, such as heart rate. Deacon and Valentiner conducted a study that examined co-morbid panic attacks and substance use in a non-clinical sample of young adults who experienced regular panic attacks. The authors found that compared to healthy controls, therapeutic alcohol and sedative use was greater for non-clinical participants who experienced panic attacks. These findings are consistent with the suggestion made by Cox, Norton, Dorward, and Fergusson that panic disorder patients self-medicate if they believe that certain substances will be successful in alleviating their symptoms. If panic disorder patients are indeed self-medicating, there may be a portion of the population with undiagnosed panic disorder who will not seek professional help because of their own self-medication. In fact, for some patients panic disorder is only diagnosed after they seek treatment for their self-medication habit. While alcohol initially helps ease panic disorder symptoms, medium- or long-term alcohol abuse can cause panic disorder to develop or worsen during alcohol intoxication, especially during alcohol withdrawal syndrome. This effect is not unique to alcohol but can also occur with long-term use of drugs that have a similar mechanism of action to alcohol such as the benzodiazepines that are sometimes prescribed as tranquilizers to people with alcohol problems. The reason chronic alcohol misuse worsens panic disorder is due to distortion of the brain chemistry and function. Approximately ten percent of patients will experience notable protracted withdrawal symptoms, which can include panic disorder, after discontinuation of benzodiazepines. Protracted withdrawal symptoms tend to resemble those seen during the first couple of months of withdrawal but usually are of a subacute level of severity compared to the symptoms seen during the first 2 or 3 months of withdrawal. It is not known definitively whether such symptoms persisting long after withdrawal are related to true pharmacological withdrawal or whether they are due to structural neuronal damage as result of chronic use of benzodiazepines or withdrawal. Nevertheless, such symptoms do typically lessen as the months and years go by eventually disappearing altogether. A significant proportion of patients attending mental health services for conditions including anxiety disorders such as panic disorder or social phobia have developed these conditions because of alcohol or sedative abuse. Anxiety may pre-exist alcohol or sedative independence, which then acts to perpetuate or worsen the underlying anxiety disorder. Someone suffering the toxic effects of alcohol abuse or chronic sedative use or abuse will not benefit from other therapies or medications for underlying psychiatric conditions. as they do not address the root cause of the symptoms. Recovery from sedative Symptoms may temporarily worsen during alcohol withdrawal or benzodiazepine withdrawal. The World Council of Anxiety does not recommend benzodiazepines for the long term treatment of anxiety disorders due to a range of problems associated with long term use of benzodiazepines including tolerance, psychomotor impairment, cognitive and memory impairments, physical dependence and a benzodiazepine withdrawal syndrome upon discontinuation of benzodiazepines. Antidepressants (SSRIs, MAOIs, tricyclic antidepressants): these are taken regularly every day, and alter neurotransmitter configurations which in turn can help to block symptoms. Although these medications are described as "antidepressants", nearly all of them — especially the tricyclic antidepressants — have anti-anxiety properties, in part, due to their sedative effects. SSRIs have been known to exacerbate symptoms in panic disorder patients, especially in the beginning of treatment and have even provoked panic attacks in otherwise healthy individuals. SSRIs are also known to produce withdrawal symptoms that include rebound anxiety and panic attacks. Co morbid depression has been cited as imparting the worst course, leading to chronic, disabling illness. Anti-anxiety drugs (benzodiazepines): Use of benzodiazepines for panic disorder is controversial with opinion differing in the medical literature. The American Psychiatric Association states that benzodiazepines can be effective for the treatment of panic disorder and recommends that the choice of whether to use benzodiazepines, antidepressants with antipanic properties or psychotherapy should be based on the individual patients’ history and characteristics. They reported that in their view there is insufficient evidence to recommend one treatment over another for panic disorder. The APA noted that while benzodiazepines have the advantage of a rapid onset of action, that this is offset by the risk of developing a benzodiazepine dependence. The National Institute of Clinical Excellence came to a different conclusion, they pointed out the problems of using uncontrolled clinical trials to assess the effectiveness of pharmacotherapy and based on placebo controlled research they concluded that benzodiazepines were not effective in the long-term for panic disorder and recommended that benzodiazepines not be used for longer than four weeks for panic disorder. Instead, NICE clinical guidelines recommend alternative pharmacotherapeutic or psychotherapeutic interventions. Other experts believe that benzodiazepines are best avoided due to the risks of the development of tolerance and physical dependence. The World Federation of Societies of Biological Psychiatry, say that benzodiazepines should not be used as a first line treatment option but are an option for treatment resistant cases of panic disorder. Despite increasing focus on the use of antidepressants and other agents for the treatment of anxiety as recommended best practice, benzodiazepines have remained a commonly used medication for panic disorder. A retrospective study has shown that forty percent of adult panic disorder patients reported that their disorder began before the age of 20. In an article examining the phenomenon of panic disorder in youth, Diler et al. (2004) found that only a few past studies have examined the occurrence of juvenile panic disorder. They report that these studies have found that the symptoms of juvenile panic disorder almost replicate those found in adults (e.g. heart palpitations, sweating, trembling, flashes, nausea, abdominal distress, and chills). The anxiety disorders co-exist with staggeringly high numbers of other mental disorders in adults. The same co morbid disorders that are seen in adults are also reported in children with juvenile panic disorder. Last and Strauss (1989) examined a sample of 17 adolescents with panic disorder and found high rates of co morbid anxiety disorders, major depressive disorder, and conduct disorders. Eassau et al. (1999) also found a high number of comorbid disorders in a community-based sample of adolescents with panic attacks or juvenile panic disorder. Within the sample, adolescents were found to have the following co morbid disorders: major depressive disorder (80%), dysthymic disorder(40%), generalized anxiety disorder (40%), somatoform disorders (40%), substance abuse (40%), and specific phobia (20%). Consistent with this previous work, Diler et al. (2004) found similar results in their study in which 42 youths with juvenile panic disorder were examined. Compared to non-panic anxiety disordered youths, children with panic disorder had higher rates of co morbid major depressive disorder and bipolar disorder. Despite the evidence pointing to the existence of early-onset panic disorder, the DSM-IV-TR currently only recognizes six anxiety disorders in children: separation anxiety disorder, generalized anxiety disorder, specific phobia, obsessive-compulsive disorder, social anxiety disorder (a.k.a. social phobia), and post-traumatic stress disorder. Panic disorder is notably excluded from this list. These substances may trigger or worsen the symptoms. Call for an appointment with your health care provider if panic attacks are interfering with your work, relationships, or self-esteem. Best Strains: Strawberry Cough, OG Kush, Mango, Blueberry Kush, Blueberry, Cotton Candy, Domino, Bubbleberry, White Satin, Jack Flash, Hawaiian Indica, Snow White, Bog Sour Bubble, Burmaberry, White Widow, Romulan, Juicy Fruit, Sensi Star, Skunk #1, G-13, Blue Moonshine, Super Impact, Strawberry Diesel, Purple Dragon, Master Kush, Mandala #1, Satori. 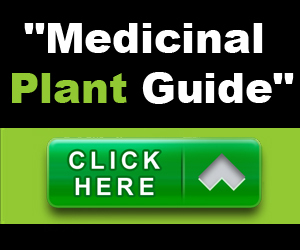 Cannabidiol, also known as "CBD", is a major constituent of medical cannabis. CBD represents up to 40% of extracts of the medical cannabis plant. 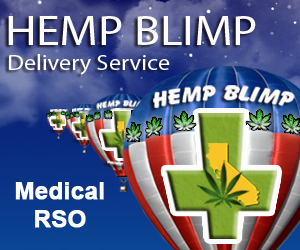 Cannabidiol relieves convulsion, inflammation, anxiety, nausea, and inhibits cancer cell growth. Recent studies have shown cannabidiol to be as effective as atypical antipsychotics in treating schizophrenia. In November 2007, it was reported that CBD reduces growth of aggressive human breast cancer cells in vitro and reduces their invasiveness. It thus represents the first non-toxic exogenous agent that can lead to down-regulation of tumor aggressiveness. It is also a neuroprotective antioxidant. Cannabis in low dose induced anxiogenic effects. This is the first study to show that the disruption of prefrontal-subcritical connectivity by CBD may represent neurophysiologic correlates of its anxiolytic properties. Delta-9-THC and CBD can have opposite effects on regional brain function, which may underlie their different symptomatic and behavioral effects, and CBD's ability to block the psychotogenic effects of Delta-9-THC. CBD's ability to block the psychotogenic effects of Delta-9-THC. CBD can be safely administered over a wide dose range. CBD (1 mg/kg) co-administered with D9-THC (0.5 mg/kg) significantly reduced the anxiety and the psychotomimetic symptoms induced by the latter drug in healthy volunteers (6). Since the dose of CBD used in that study did not change D9-THC levels in blood (15), it was suggested that CBD blocked the effects of D9-THC by some intrinsic pharmacological properties. Actually, when administered alone CBD produced its own effects, including hypnotic anticonvulsive, neuroprotective, and hormonal (increased corticosterone and cortisol levels) effects .These effects led to the hypothesis that CBD could have anxiolytic and/or antipsychotic effects. Bello in a passionate treatise on the benefits of cannabis for physical and mental health likened the anxiolytic effect of marijuana to a state of relaxed alertness brought on by 'balancing' the autonomic nervous system. In recent IDMU surveys, relaxation and stress relief were overwhelmingly the most commonly perceived benefits of cannabis use. However, the Department of Health identifies panic attacks and anxiety as effects of acute cannabis intoxication, particularly among naive users, in justifying the refusal of the UK Government to permit the prescribing of cannabis. In conclusion, animal models employing behavioral as well as neurochemical techniques suggest that CBD has a pharmacological profile similar to that of an atypical antipsychotic drug. 2. Taylor CT, Pollack MH, LeBeau RT, Simon NM. Anxiety disorders: Panic, social anxiety, and generalized anxiety. In: Stern TA, Rosenbaum JF, Fava M, Biederman J, Rauch SL, eds. Massachusetts General Hospital Comprehensive Clinical Psychiatry. 1st ed. Philadelphia, Pa: Mosby Elsevier; 2008: chap 32. 3. Pollack MH, Kinrys G, Delong H, Vasconcelos e Sá D, Simon NM. The pharmacotherapy of anxiety disorders. Stern TA, Rosenbaum JF, Fava M, Biederman J, Rauch SL, eds. Massachusetts General Hospital Comprehensive Clinical Psychiatry. 1st ed. Philadelphia, Pa: Mosby Elsevier; 2008: chap 41. 4. Stein MB, Goin MK, Pollack MH, Roy-Byrne P, Sareen J, Simon NM, et al. Practice guideline for the treatment of patients with panic disorder. Arlington, VA: American Psychiatric Association, 2009. 7 Houck, P. R., Spiegel, D. A., Shear, M. K. & Rucci, P. (2002). Reliability of the self-report version of the Panic Disorder Severity Scale. Depression and Anxiety, 15(4): 183-185. 8 Shear, M. K., Rucci, P., Williams, J., Frank, E., Grochocinski, V., Vander Bilt, J., Houck, P. & Wang, T. (2001). Reliability and validity of the Panic Disorder: Replication and extension. Journal of Psychiatric Research, 35(2): 293-296. 9 Coryell W, Noyes R, Clancy J (June 1982). "Excess mortality in panic disorder. A comparison with primary unipolar depression". Arch. Gen. Psychiatry 39 (6): 701–3. PMID 7092503. 10 a b Frisch, N. and Frisch, L. 2006. Psychiatric Mental Health Nursing. 3rd ed. Canada: Thomson Delmar Learning. 12 Ludewig S, Geyer MA, Ramseier M, Vollenweider FX, Rechsteiner E, Cattapan-Ludewig K (January 2005). "Information-processing deficits and cognitive dysfunction in panic disorder". J Psychiatry Neurosci 30 (1): 37–13PMC 543839.PMID 15644996. 14 "New Theses about the Borderline Personality". Retrieved 2009-01-31. 15 Meuret AE, Rosenfield D, Hofmann SG, Suvak MK, Roth WT (March 2009). "Changes in respiration mediate changes in fear of bodily sensations in panic disorder". J Psychiatry Res 43 (6): 634–16. doi: 10.1016/j.jpsychires.2008.08.003.PMID 18835608. 17 Berrocal C, Moreno FR, Cano J (2007). "Anxiety sensitivity and panic symptomology: the mediator role of hypochondriacal concerns". Span J Psychol 10 (1): 159–66. PMID 17549889. 18 White KS, Brown TA, Somers TJ, Barlow DH (January 2006). "Avoidance behavior in panic disorder: the moderating influence of perceived control". Behave Res Ther 44 (1): 147–19doi: 10.1016/j.brat.2005.07.009. PMID 16300725. 20 Unschuld PG, Ising M, Erhardt A, et al. (January 2008). "Polymorphisms in the galanin gene are associated with symptom-severity in female patients suffering from panic disorder". J Affect Disord 105 (1-3): 177–84. doi: 10.1016/j.jad.2007.05.006.PMID 17573119. 21 a b Johnson JG, Cohen P, Pine DS, Klein DF, Kasen S, Brook JS (November 2000). "Association between cigarette smoking and anxiety disorders during adolescence and early adulthood". JAMA 284 (18): 2348–51. doi: 10.1001/jama.284.18.2348.PMID 11066185. 22 Isensee B, Wittchen HU, Stein MB, Höfler M, Lieb R (July 2003). "Smoking increases the risk of panic: findings from a prospective community study". Arch. Gen. Psychiatry 60 (7): 692–700. doi: 10.1001/archpsyc.60.7.692. PMID 12860773. 23 Goodwin RD, Lewinsohn PM, Seeley JR (November 2005). "Cigarette smoking and panic attacks among young adults in the community: the role of parental smoking and anxiety disorders". Biol. Psychiatry 58 (9): 686–24doi:10.1016/j.biopsych.2005.04.042. PMID 16018987. 25 Breslau N, Klein DF (December 1999). "Smoking and panic attacks: an epidemiologic investigation". Arch. Gen. Psychiatry56 (12): 1141–7. doi:10.1001/archpsyc.56.12.1141. PMID 10591292. 26 Pine DS, Klein RG, Coplan JD, et al. (October 2000). "Differential carbon dioxide sensitivity in childhood anxiety disorders and nonill comparison group". Arch. Gen. Psychiatry 57 (10): 960–7. doi: 10.1001/archpsyc.57.10.960. PMID 11015814. 27 Gorman JM, Kent J, Martinez J, Browne S, Coplan J, Papp LA (February 2001). "Physiological changes during carbon dioxide inhalation in patients with panic disorder, major depression, and premenstrual dysphoric disorder: evidence for a central fear mechanism". Arch. Gen. Psychiatry 58 (2): 125–31. doi: 10.1001/archpsyc.58.2.125. PMID 11177114. 28 "Panic Disorder". Mental Health America. Retrieved 2007-07-02. 29 "Practice guideline for the treatment of patients with panic disorder. Work Group on Panic Disorder. American Psychiatric Association". Am J Psychiatry 155 (5 Suppl): 1–34. May 1998. PMID 9585731. 30 Deacon BJ, Valentiner DP (2000). "Substance use and non-clinical panic attacks in a young adult sample". J Subst Abuse11 (1): 7–15. doi: 10.1016/S0899-3289(99)00017-6. PMID 10756510. 1. Cox BJ, Norton GR, Dorward J, Fergusson PA (1989). "The relationship between panic attacks and chemical dependencies".Addict Behave 14 (1): 53–60. doi: 10.1016/0306-4603(89)90016-6. PMID 2718824. 2. Cox BJ, Norton GR, Swinson RP, Endler NS (1990). "Substance abuse and panic-related anxiety: a critical review". Behave Res Ther 28 (5): 385–93. doi: 10.1016/0005-7967(90)90157-E. PMID 2256896. 3. a b Terra MB, Figueira I, Barros HM (August 2004). "Impact of alcohol intoxication and withdrawal syndrome on social phobia and panic disorder in alcoholic inpatients". Rev Hosp Clin Fac Med Sao Paulo 59 (4): 187–92. doi: 10.1590/S0041-87812004000400006. PMID 15361983. 4. Wetterling T; Junghanns K (Dec 2000). "Psychopathology of alcoholics during withdrawal and early abstinence". Eur Psychiatry 15 (8): 483–8. doi: 10.1016/S0924-9338(00)00519-8. PMID 11175926. 5. Cowley DS (24). "Alcohol abuse, substance abuse, and panic disorder". Am J Med 92 (1A): 41S–8S. doi: 10.1016/0002-9343(92)90136-Y. PMID 1346485. 6. Cosci F; Schruers KR, Abrams K, Griez EJ (Jun 2007). "Alcohol use disorders and panic disorder: a review of the evidence of a direct relationship". J Clin Psychiatry 68 (6): 874–80. doi: 10.4088/JCP.v68n0608. PMID 17592911. 7. Ashton H (1991). "Protracted withdrawal syndromes from benzodiazepines". J Subst Abuse Treat (benzo.org.uk) 8 (1-2): 19–28. doi: 10.1016/0740-5472(91)90023-4. PMID 1675688. 8. Cohen SI (February 1995). "Alcohol and benzodiazepines generate anxiety, panic and phobias". J R Soc Med 88 (2): 73–7.PMC 1295099. PMID 7769598. 9. Belleville G, Morin CM (March 2008). "Hypnotic discontinuation in chronic insomnia: impact of psychological distress, readiness to change, and self-efficacy". Health Psychol 27 (2): 239–48. doi: 10.1037/0278-6133.27.2.239.PMID 18377143. 10. Professor C Heather Ashton (1987). "Benzodiazepine Withdrawal: Outcome in 50 Patients". British Journal of Addiction 82: 655–671. 11. Onyett SR (April 1989). "The benzodiazepine withdrawal syndrome and its management". J R Coll Gen Pract 39 (321): 160–3. PMC 1711840. PMID 2576073. 12. Allgulander C, Bandelow B, Hollander E, et al. (August 2003). "WCA recommendations for the long-term treatment of generalized anxiety disorder". CNS Spectr 8 (8 Suppl 1): 53–61. PMID 14767398. 13. American Psychiatric Association. Diagnostic and Statistical Manual of Mental Disorders. 4th, text revision (DSM-IV-TR) ed. 2000. ISBN 0-89042-025-4. Panic Disorder without Agoraphobia. Panic Disorder with Agoraphobia. 14. Salvador-Carulla L, Seguí J, Fernández-Cano P, Canet J (April 1995). "Costs and offset effect in panic disorders". Br J Psychiatry Suppl (27): 23–8. PMID 7794590. 15. Cloos, Jean-Marc (2005). "The Treatment of Panic Disorder". Curr Opin Psychiatry 18 (1): 45–50. PMID 16639183. Retrieved 2007-09-25. 16. Foldes-Busque, G.; Marchand, A.; Landry, P. (Oct 2007). "[Early detection and treatment of panic disorder with or without agoraphobia: update]". Can Fam Physician 53 (10): 1686–93. PMC 2231433. PMID 17934032. 17. Seguí, J.; Márquez, M.; Canet, J.; García, L. (1999). "[Causes of failure in psychopharmacological treatment of anxiety disorder]". Actas Esp Psiquiatr 27 (4): 250–8. PMID 10469946. 18. Barlow DH, Gorman JM, Shear MK, Woods SW (May 2000). "Cognitive-behavioral therapy, imipramine, or their combination for panic disorder: A randomized controlled trial". JAMA 283 (19): 2529–36. doi: 10.1001/jama.283.19.2529.PMID 10815116. 19. a b Marks IM, Swinson RP, Basoglu M, et al. (June 1993). "Alprazolam and exposure alone and combined in panic disorder with agoraphobia. A controlled study in London and Toronto". Br J Psychiatry 162 (6): 776–87. doi: 10.1192/bjp.162.6.776.PMID 8101126. 20. Wiborg IM, Dahl AA (August 1996). "Does brief dynamic psychotherapy reduce the relapse rate of panic disorder?” Arch. Gen. Psychiatry 53 (8): 689–94. PMID 8694682. 21. American Psychiatric Association. Diagnostic and Statistical Manual of Mental Disorders. 4th, text revision (DSM-IV-TR) ed. 2000. ISBN 0-89042-025-4. 22. Milrod BL, Leon AC, Barber JP, Markowitz JC, Graf E (June 2007). "Do co morbid personality disorders moderate panic-focused psychotherapy? An exploratory examination of the American Psychiatric Association practice guideline". J Clin Psychiatry 68 (6): 885–91. doi: 10.4088/JCP.v68n0610. PMID 17592913. 23. Barlow DH, Gorman JM, Shear MK, Woods SW (May 2000). "Cognitive-behavioral therapy, imipramine, or their combination for panic disorder: A randomized controlled trial". JAMA 283 (19): 2529–36. doi: 10.1001/jama.283.19.2529.PMID 10815116. 24. a b c d e Choy Y (February 1, 2008). "Treatment Planning for Panic Disorder". Psychiatric Times 25 (2). 25. Busch FN and Milrod BL (February 1, 2008). "Panic-Focused Psychodynamic Psychotherapy". Psychiatric Times 25 (2). 26. Schmidt NB, Woolaway-Bickel K, Trakowski J et al. (2000). "Dismantling cognitive-behavioral treatment for panic disorder: questioning the utility of breathing retraining". J Consult Clin Psychol 68 (3): 417–424. doi: 10.1037/0022-006X.68.3.417.PMID 10883558. 27. "Panic Disorder". National Institute of Mental Health. Archived from the original on 2006-04-28. Retrieved 2006-05-12. 28. Roy-Byrne PP, Stang P, Wittchen HU, Ustun B, Walters EE, Kessler RC (March 2000). "Lifetime panic-depression co morbidity in the National Co morbidity Survey. Association with symptoms, impairment, course and help-seeking". Br J Psychiatry 176 (3): 229–35. doi: 10.1192/bjp.176.3.229. PMID 10755069. 29. Hollifield M, Katon W, Skipper B, et al. (June 1997). "Panic disorder and quality of life: variables predictive of functional impairment". Am J Psychiatry 154 (6): 766–72. PMID 9167503. 30. Work Group on Panic Disorder (January 2009). "APA Practice Guideline for the Treatment of Patients with Panic Disorder, Second Edition" (PDF). Retrieved July 12, 2009. 31. McIntosh A, Cohen A, Turnbull N et al. (2004). "Clinical guidelines and evidence review for panic disorder and generalized anxiety disorder" (PDF). National Collaborating Centre for Primary Care. Retrieved 2009-06-16. 32. Damsa C, Lazignac C, Iancu R, et al. (February 2008). "[Panic disorders: differential diagnosis and care in emergencies]" (in French). Rev Med Suisse 4 (144): 404–6, 408–9. PMID 18320769. 33. Bandelow, B.; Zohar, J.; Hollander, E.; Kasper, S.; Möller, HJ. ; World Federation of Societies of Biological Psychiatry Task Force on Treatment Guidelines for Anxiety, Obsessive-Compulsive and Posttraumatic Stress Disorders (Oct 2002). "World Federation of Societies of Biological Psychiatry (WFSBP) guidelines for the pharmacological treatment of anxiety, obsessive-compulsive and posttraumatic stress disorders.” World J Biol Psychiatry 3 (4): 171–99. doi: 10.3109/15622970209150621.PMID 12516310. 34. Bruce SE, Vasile RG, Goisman RM, et al. (2003). "Are benzodiazepines still the medication of choice for patients with panic disorder with or without agoraphobia?” Am J Psychiatry 160 (8): 1432–8. doi: 10.1176/appi.ajp.160.8.1432.PMID 12900305. 35. Stevens JC, Pollack MH (2005). "Benzodiazepines in clinical practice: consideration of their long-term use and alternative agents". J Clin Psychiatry. 66 Suppl 2: 21–7. PMID 15762816. 36. "Facts about Panic Disorder". National Institute of Mental Health. Archived from the original on 2006-09-07. Retrieved 2006-09-30. 37. Moreau DL, Follet C (1993). "Panic disorder in children and adolescents". Child Adolesc Psychiatry Clin N Am 2: 581–602. 38. Diler RS, Birmaher B, Brent DA, et al. (2004). "Phenomenology of panic disorder in youth". Depress Anxiety 20 (1): 39–43.doi: 10.1002/da.20018. PMID 15368595. 39. Alessi NE, Magen J (November 1988). "Panic disorder in psychiatrically hospitalized children". Am J Psychiatry 145 (11): 1450–2. PMID 3189608. 40. Biederman J, Faraone SV, Marrs A, et al. (February 1997). "Panic disorder and agoraphobia in consecutively referred children and adolescents". J Am Acad Child Adolesc Psychiatry 36 (2): 214–23. doi: 10.1097/00004583-199702000-00012.PMID 9031574. 41. a b Essau CA, Conradt J, Petermann F (1999). "Frequency of panic attacks and panic disorder in adolescents". Depress Anxiety 9 (1): 19–26. doi: 10.1002/ (SICI) 1520-6394(1999)9:1<19: AID-DA3>3.0.CO; 2-# (inactive 2010-03-17). PMID 9989346. 42. King NJ, Gullone E, Tonge BJ, Ollendick TH (January 1993). "Self-reports of panic attacks and manifest anxiety in adolescents". Behave Res Ther 31 (1): 111–6. doi: 10.1016/0005-7967(93)90049-Z. PMID 8417721. 43. Macauly JL, Kleinknecht RA (1989). "Panic and panic attacks in adolescents". J Anxiety Disord 3 (4): 221–41.doi: 10.1016/0887-6185(89)90016-9. 44. de Reiter C, Rifkin H, Garssen B, Van Schawk A (1989). "Co morbidity among the anxiety disorders". J Anxiety Disord 3 (2): 57–68. doi: 10.1016/0887-6185(89)90001-7.